Yep, I’m already planning 2017’s travel calendar. And as a source of inspiration I prepared a quick review of 2016. This was the most important year in my career as an independent journalist. It was when I actually started to partner with brands and destinations interested in my view as a travel journalist not because I was producing content for this or that outlet, but for my blog and social media platforms. It’s such a rewarding feeling. So, now I take the chance to share my best moments of 2016. This year I traveled to 23 cities, most of them for first time, like Boston, Minneapolis, Kansas City, Jersey City (all of them in the USA) and Paraty (in Brazil). Despite being so close to Rio de Janeiro, where I lived for almost 10 years, I had not yet had the chance to explore this charming colonial town of Paraty. The country I visited most was Brazil. I traveled twice to Rio (and extended the trips until Belo Horizonte, Petropolis, Paraty and Cabo Frio) and another time to Sao Paulo (and beyond… actually until Ribeirao Preto). Of course, as a Brazilian living in the United States, any opportunity to meet my family is always welcome! Out of the trips close to home in Austin (Texas), I’ve been 2-3 times to Dallas, Houston and San Antonio (each), and I discovered the cute Gulf Coast when I visited Port Aransas. In fact, most of my trips this year were right here within the United States. In two weeks I traveled coast to coast, north/south… and back: from Los Angeles to Orlando and a few days later to Boston. Such a delight to return to L.A., where I lived for almost 6 years, and Orlando, which I first visited in 1995 and every time I come back there’s something new. Berlin is one of my favorite European cities. As I love history, to walk the streets of Berlin is to imagine the good and the bad of a nation destroyed by two wars, where history was still being made when I was a kid. Wow! I remember the coverage on TV of the fall of the Berlin wall! One of my inspirations to become a journalist. I shot a vlog in Berlin, but couldn’t edit yet due to lack of time. A project for 2017! That’s where I spent the 2015/2016 New Years. Paraty is just like I expected: a very charming colonial town similar in style to the most famous colonial towns in Brazil and the world. I was lucky to stay in one of these colonial houses, which made the trip even more amazing. It would be great to return during low season to check the city’s top attractions without the crowds. I also shot some vlogs in Paraty, but due to other projects that came up along the year, I couldn’t edit them yet. Also goes to the 2017 list. 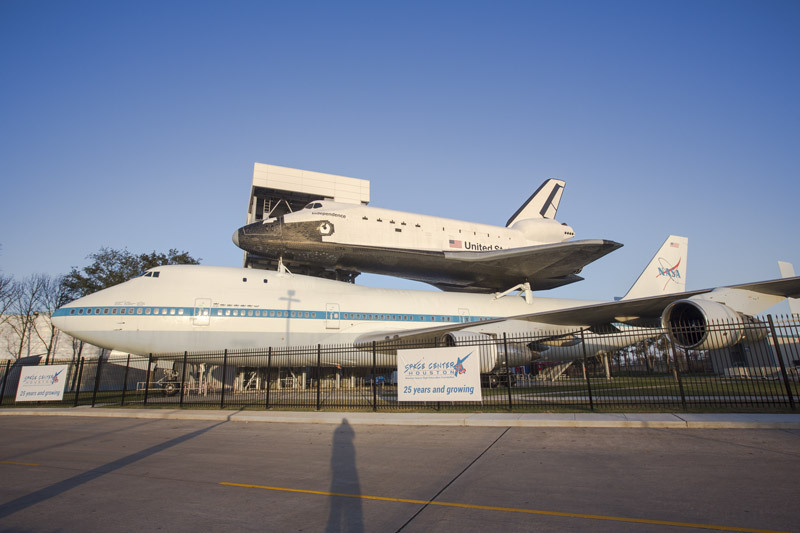 I visited Space Center Houston last week and loved being at NASA. That place is the Disneyland of space: you have the rides (in this case, the simulators), presentations, and even the tram tour. You can spend the whole day there if you want. The difference is that it is not a fantasy. It’s all real. This is a festival of lights here in the United States inspired by the traditional Asian ones. It’s being organized in several American cities, and I attended the San Antonio event. It was so beautiful!!! After so much hard work on the preparations for the 2014 World Cup, I was very excited to work on the organization of the Olympics as well. As I have great memories of working at the Beijing Olympics, years ago I was probably one of the few people who did not doubt it would be a great success. I worked for FIFA once again as a media officer in men’s and women’s soccer, and I was in charge of the Belo Horizonte stadium. In 2016 there was a special edition of Copa America – a traditional South American soccer competition – which took place in the United States. This is one of the most prestigious and most widely viewed sporting events in the world. I was invited by CONCACAF, Major League Soccer and US Soccer to work for the Local Organizing Committee. For my surprise and professional reward, I’d be in charge of the Brazil national team’s media activities, traveling together with the team and staying at the same hotels. We’ve also been to Los Angeles and Jersey City, where I discovered the best view ever to Manhattan. After the Brazil team was eliminated, I worked with the national team of Peru. Just like Peruvians do in their home country, the soccer team also welcomed me with arms wide open. With preparations for the Rio Olympics in full swing, and because Brazil is an unknown destination for the vast majority of Americans, thanks to this blog and my videos I was invited by the U.S. Department of State to participate in a live Google Hangout to give tips about Rio. It was a great experience to share knowledge with other travel experts! And the first time I did a Google Hangout! When I was invited by Mall of America, which is the largest shopping mall in the United States (near Minneapolis), to spend 3 days there on a shopping trip inside the mall, I could never imagine my video would receive such a great feedback. I produced a vlog showing the whole experience, which is now close to reaching 50K views on YouTube and Facebook. This thanks to the main video on YouTube, as that alone accounts for more than 41K views. This is my most successful video of 2016. I spent 3-4 days in Boston and was blown away. What a beautiful city! As I was on a busy business schedule, unfortunately I could not go sight-seeing much. That’s why I want to go back as soon as possible. I ended up in Kansas City totally by chance and loved the city! In fact, there are two “Kansas Cities”: one in the state of Missouri and the other in Kansas. They stand next to each other, separated by a street. I spent 2 days in Kansas City, Missouri. I was amazed by the architecture, the history, and the scenery, but only got to visit the World War I Memorial and the Union Station. 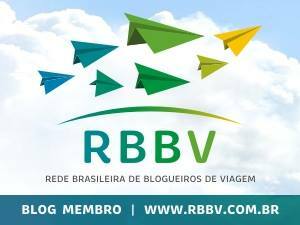 In 2016 I attended 5 conferences: the Travel and Adventure Show (Dallas), ITB (Berlin), WTM Latin America (Sao Paulo), TBEX (Bloomington, Minnesota) and WordPress Wordcamp (San Antonio, Texas). They were all incredible experiences, where I learned a lot and met a lot of people. 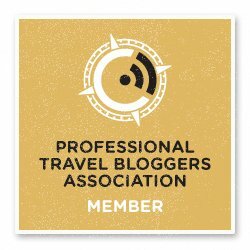 I intend to continue attending travel and blogging events in 2017. I’m still working on the list, but I’ll do my best to go back to Brazil for WTM Latin America, which was one of my favorites. I also really enjoyed TBEX and I plan to return this year, so Alabama is already in the plans. Follow me on Facebook and Instagram to see in real time what I’m up to. What an amazing year, Renata! The Google Hangout sounds like a ton of fun, and the time in Rio working on the Olympics must have been unforgettable. To an even better 2017! OMG what a year! The Olympics must have been such an incredible experience! I would love to go one time in my life! I can’t wait to see where 2017 takes you! Looks like you’ve had quite an intensely productive year in 2016. You’ve really racked up some big shows and I think that’s amazing, especially as an independent. Looking forward to seeing where you go in the new year! Oh my gosh, Renata!! You’ve had an amazing 2016, and I had no idea you were invited by the US Department of State to give travel tips about Brazil, that’s amazing!! (: I also didn’t even realize that you produce videos in both ENGLISH and PORTUGUESE – that’s a lot haha can’t wait to see what 2017 has in store for you and what you will be able to accomplish! I can’t believe how many videos you plan to put out. Jenn pulled me aside to show me your video of Niagara Falls because of how well done it was. We couldn’t believe the production quality. It was fabulous. We are going to Alabama too and hope to see you there. It should be a blast. Wow, you’ve been to so many places last year – so impressive! That light festival in Texas reminded me something very similar in Taiwan. And I agreed with you that I’d love to go back to Boston again. It was snowing so hard last time I was there. Summer will probably look very different! I look forward to more of your travels in 2017!